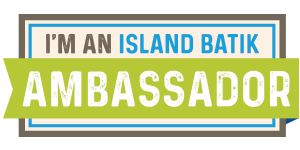 In addition to gardening, deck staining, barn painting, lawn mowing, meal making, a little travelling and lots of cat-herding (! ), I will be spending my leisure time playing in the sewing room, creating simply for the sheer joy of it. 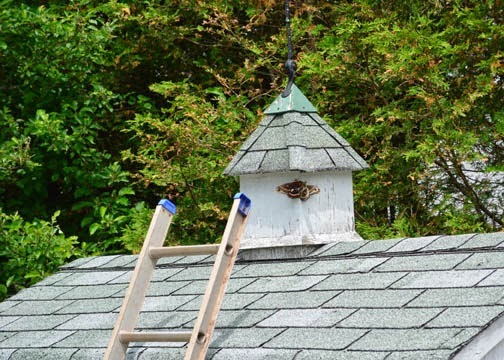 There are no deadlines, page restrictions, copious notes on construction, or piecing diagrams to slow down the process; it's simply a time to play and hone my technical skills. 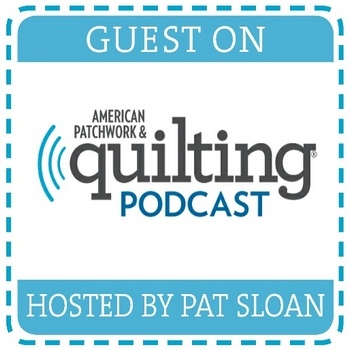 Patchwork is a very technical and exacting process. 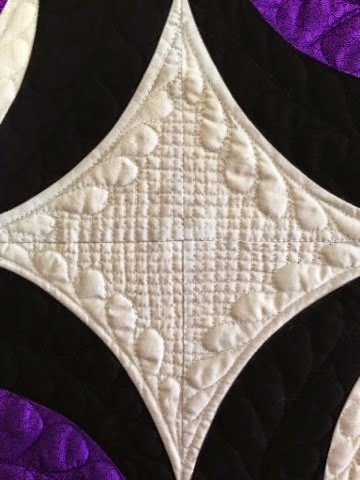 I've started a Feathered Star in gorgeous Hoffman batiks, a block I've never sewn before, and already I am thrilled to learn the subtleties of its unique construction based partly upon the shape of the centre patch. My burgeoning silk collection has been patiently waiting for my attention and I am excited to open the boxes and see those glorious colours and textures spill out onto the table. 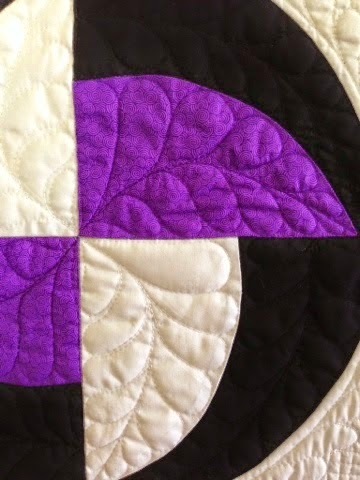 Some of that silk is shown above, pieced into segments measuring 2" x 3". The blocks may never find their way into a quilt but I've had the pleasure of making each one and learning as I go. I guess my vacation is not so much holiday as sabbatical. 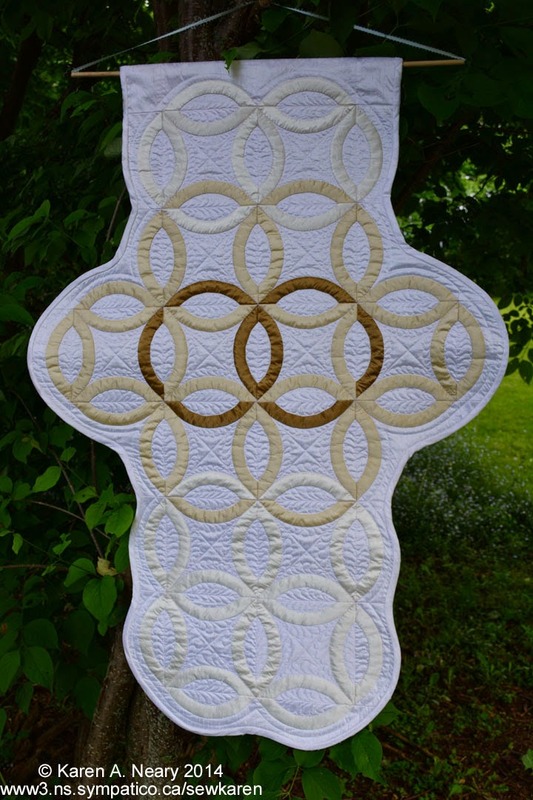 The pattern has been selling like hotcakes and most of the quilts I've seen made from it have used the same colourway as the original. 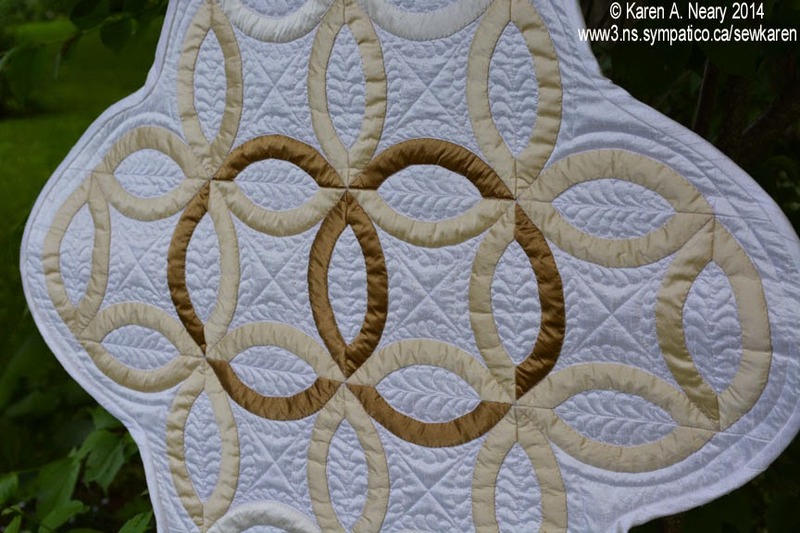 I have to tell you that my jaw dropped when I saw Elaine's version on her blog. Scroll down and prepare to be wowed! 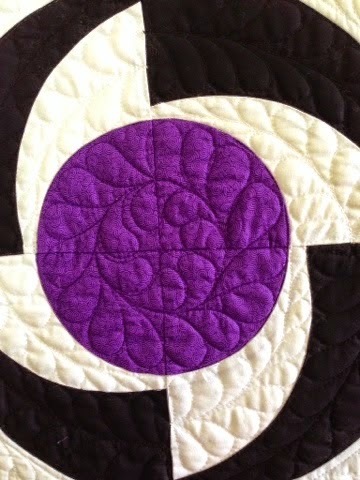 Not only is her colour choice spectacular, her quilting is fabulous too. Elaine writes this: "I am a music major from college so was intrigued by the name and I love circles and doing feather quilting. Win! Win! It was so striking I had intended to do it in red even though red is probably my least favorite color. 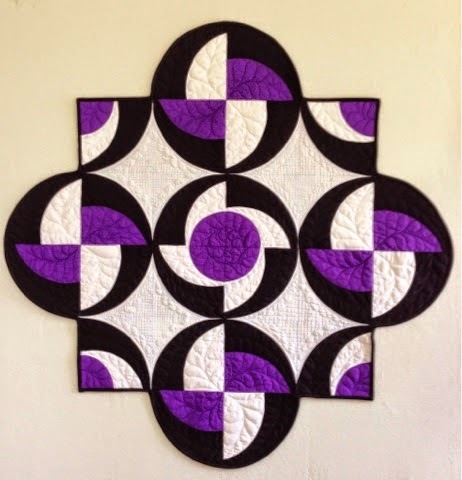 But.....since purple is my favorite color, I tried some different fabric swatches and decided the purple was gorgeous too." 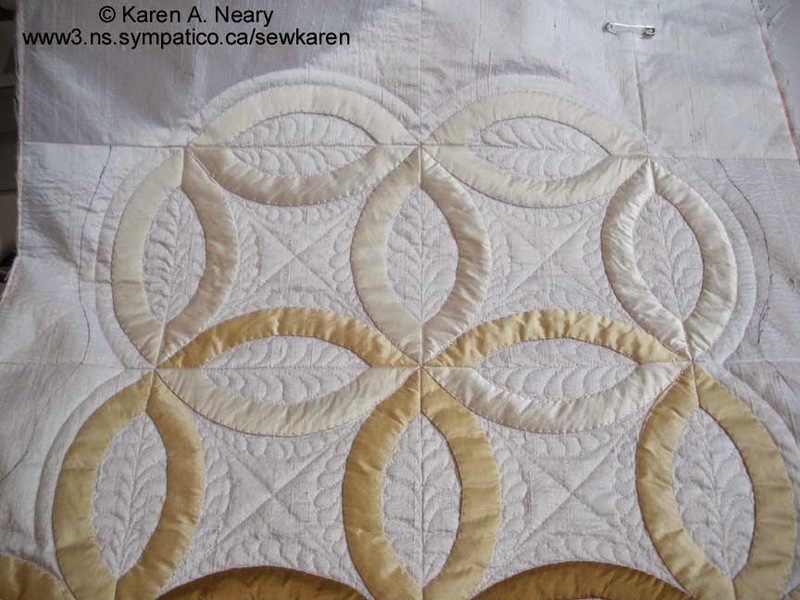 Look at the tiny grid quilting in the intersection of the blocks. Patience! I confess that this is one of my all time favourite designs and seeing it so well done is music to my heart. 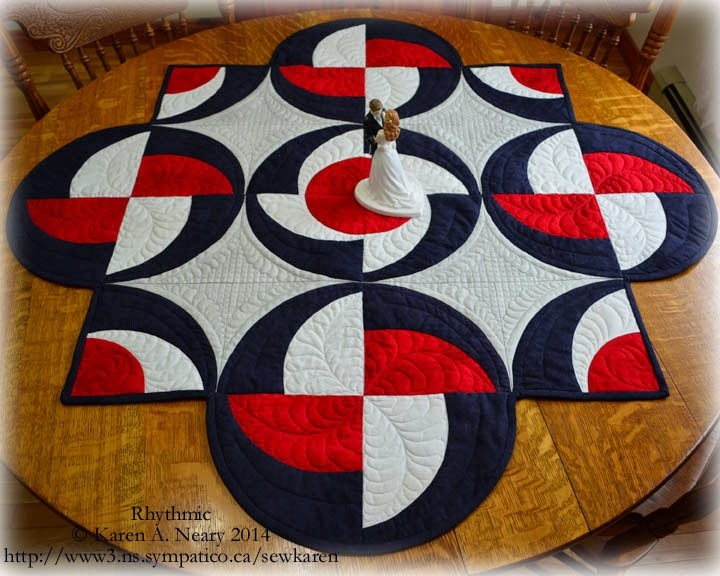 The pattern for Rhythmic is widely available: it is distributed by Trend Tex Fabrics to quilt shops across Canada, including Mrs. Pugsley's Emporium in Amherst. It is also available by snail mail from my website or as an instant pdf download through Craftsy. 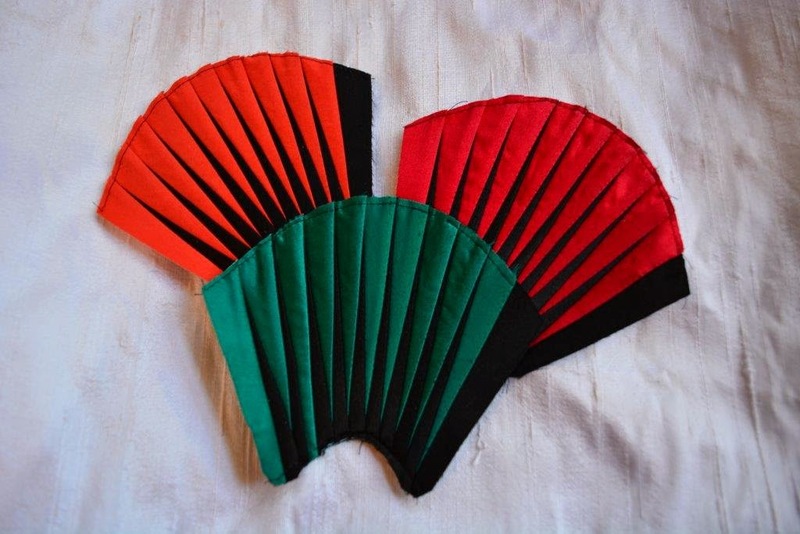 If you have made your own version of Rhythmic, I'd love a picture to show here on the blog. A sincere thank you Elaine; you really made my day! 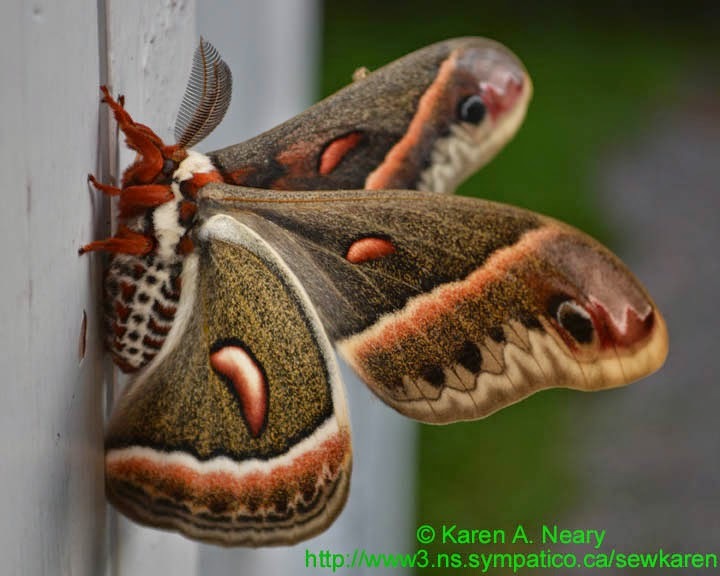 Here's part two of the moth story, continued from yesterday. 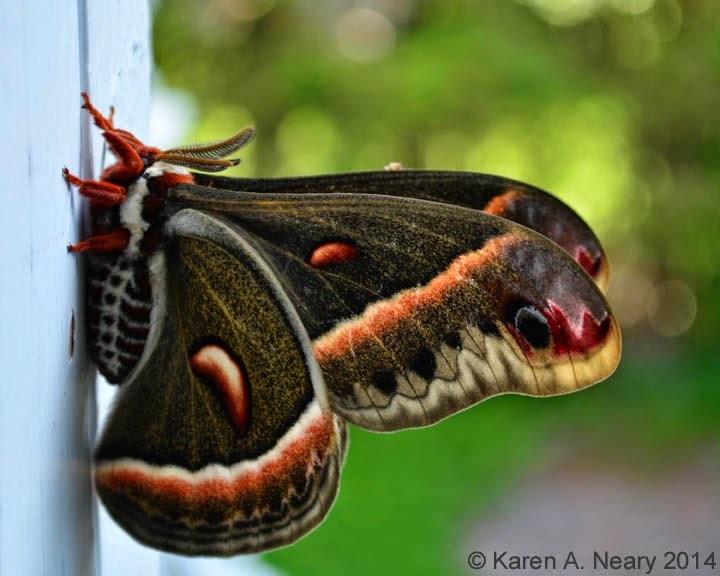 The Cecropia moth moved from the door frame down onto the deck to continue his rest. 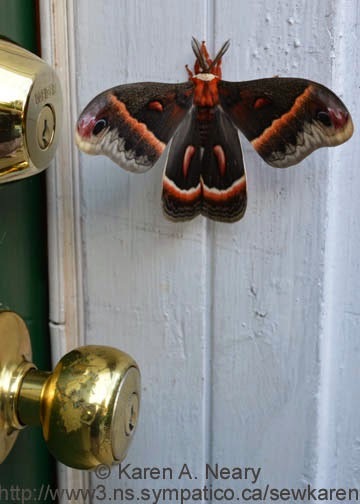 Sorry Mr. Moth, that's not a good idea around here! 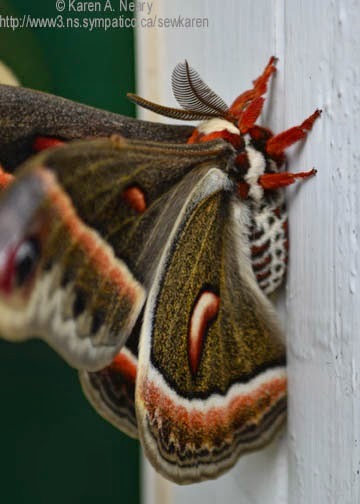 My hubby looked around to find a higher, less vulnerable-to-cats location when his eye fell on two more of these beautiful moths on the cupola of our baby barn! 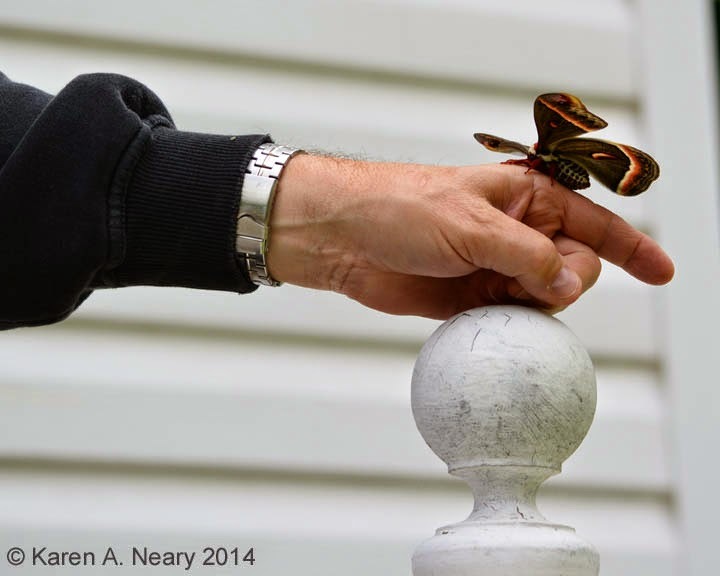 He picked up our friend, who gave no objection to his touch. 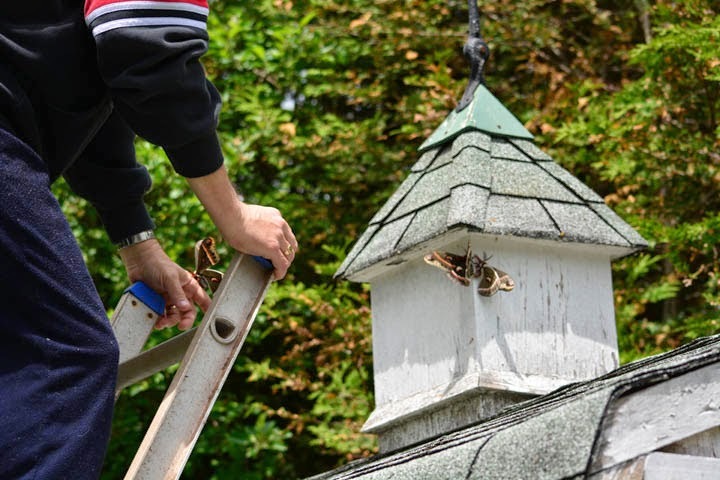 Hubby has a gentle hand and often carries his bees back to safety when they go astray. When he came down, I scrambled up the ladder to take pictures. 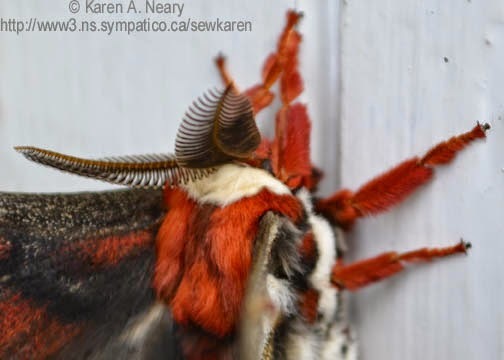 The top two appear to be a male/female pair; there is significant difference in their antennae which is how one determines moth gender (the larger feathers belong to the male). They didn't object to having their friend join them and the three amigos snoozed the day away in safety. By nightfall they had gone. 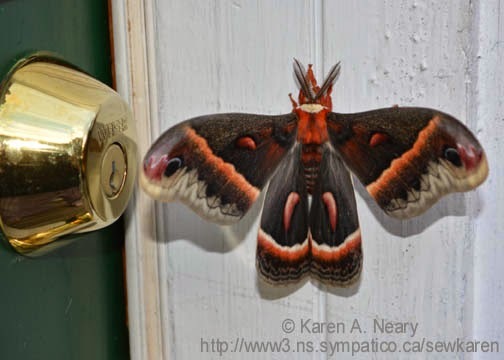 This morning a little before 6, hubby called me to the back door to greet a visitor who had arrived during the night. We weren't expecting anyone so this was a total surprise. See who it is? 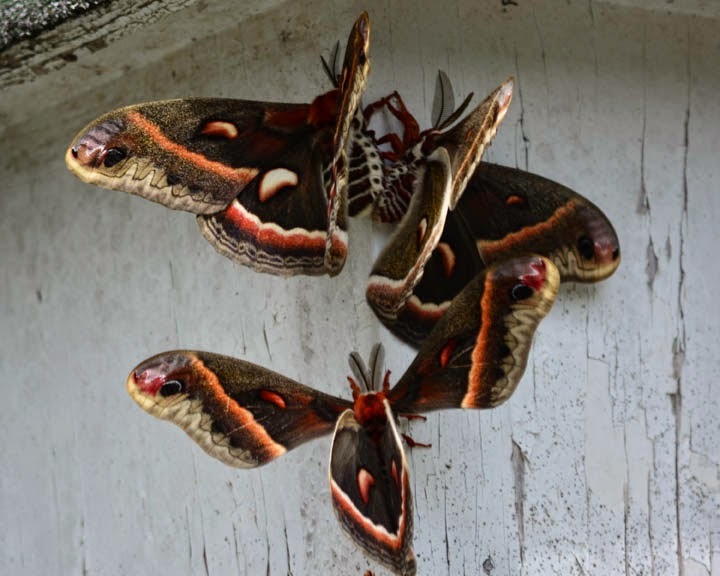 A Google search identifies him as a Cecropia Moth belonging to the family of giant silk moths. He's a big fellow! I got a shot of the lock and door knob for comparison. Stats list his wing span as 5-6" and that sounds about right. 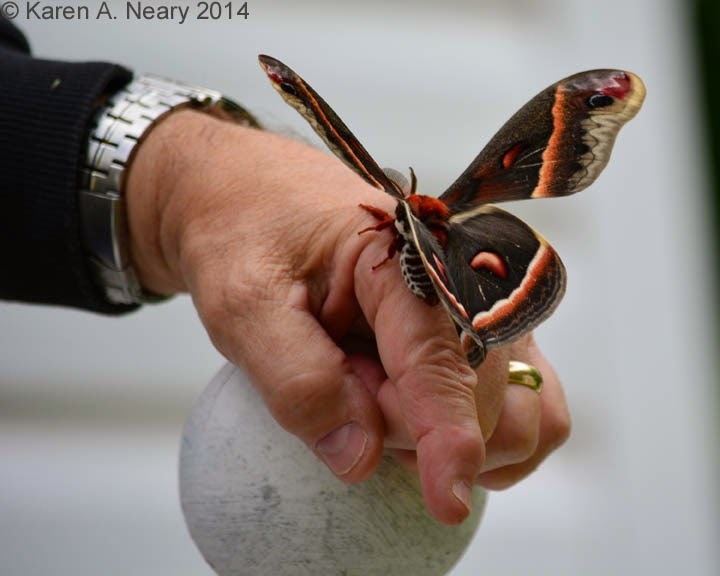 He was pretty massive when he flipped his wings up. His body is very colourful; the regular pattern of dots on his abdomen is amazing. His antennae are feathers! We think from the size of them he is a male. It's 9:30 am as I write, and he is still snoozing away on the door frame. My big concern for his safety is Polly, so she is staying inside while he naps. Yesterday I delivered the wedding antependium to the church. It was a dark, dreary day with not enough good light for a proper picture and I had to dodge rain showers to get a couple of quick shots outside. None of my pictures are very good, but time was pressing. 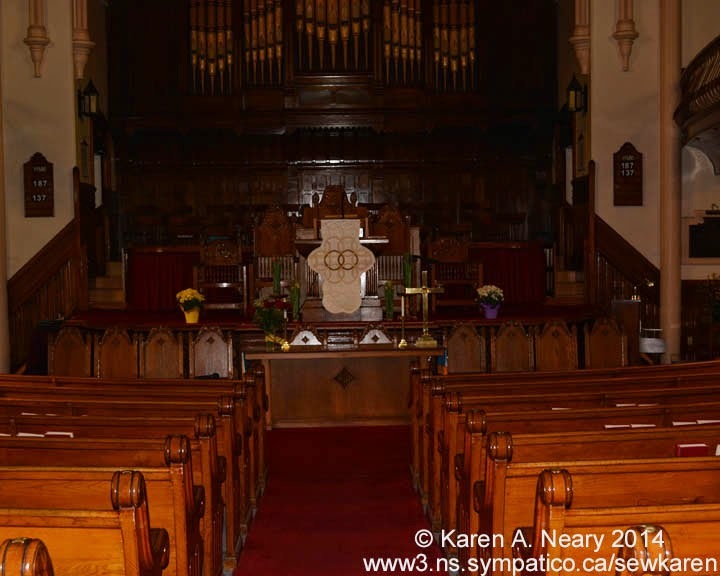 June is wedding season after all, and there is one scheduled for today at the church. 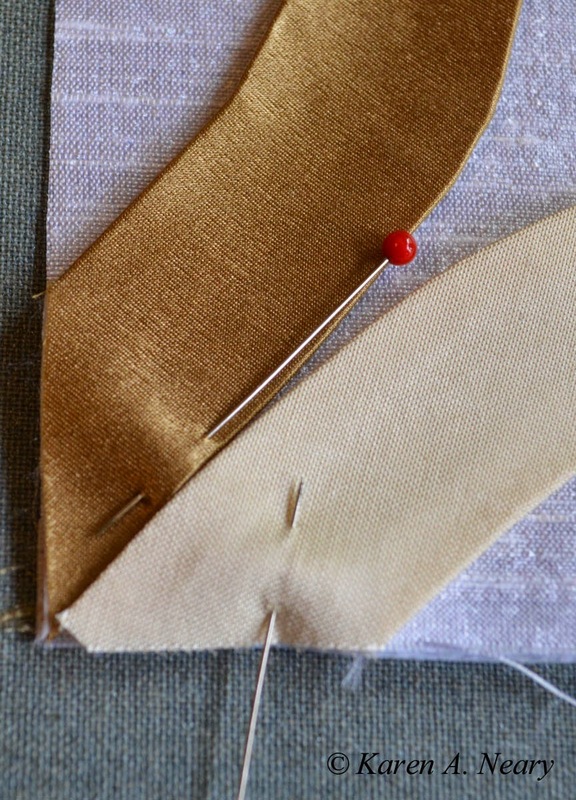 I'll show you the extra sleeve I added across centre back which holds a thin rod to keep the arms of the cross out. It is imperative that these things hang perfectly straight and flat. 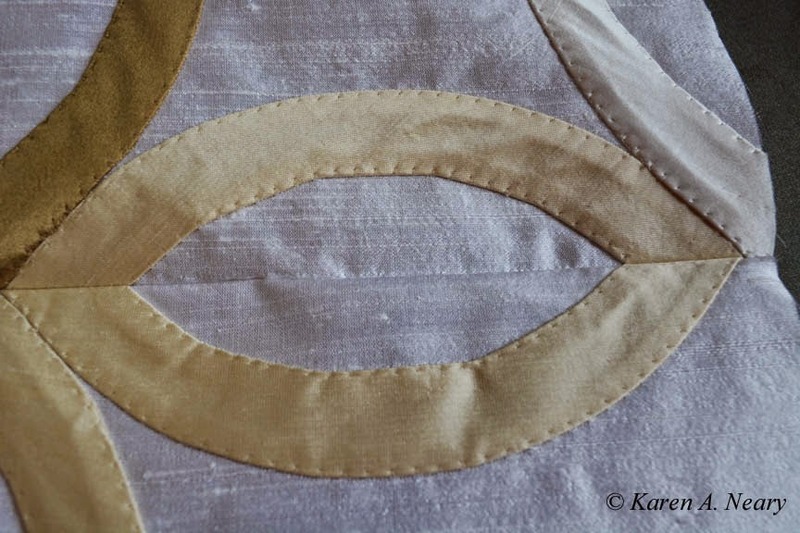 The whole piece is stiffened with two layers of interfacing, one of which is a heavy decorator weight. This made the parament extremely awkward to quilt on my domestic machine - it refused to fold up in the throat. It was like quilting a board! 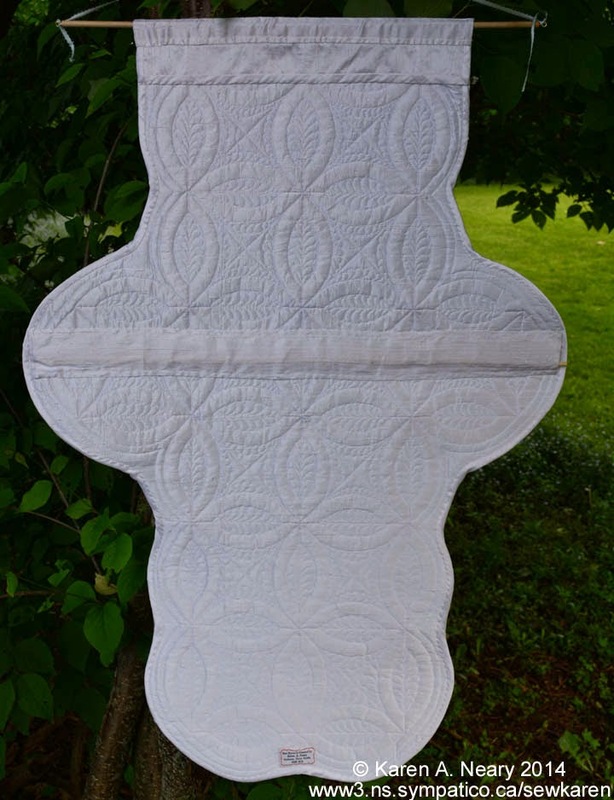 Not surprisingly, my Bernina quilted feathers through all those layers with no issues. It fit the pulpit perfectly. It was even darker inside than out and the pictures are disappointing. However, you can get a sense of the effect. 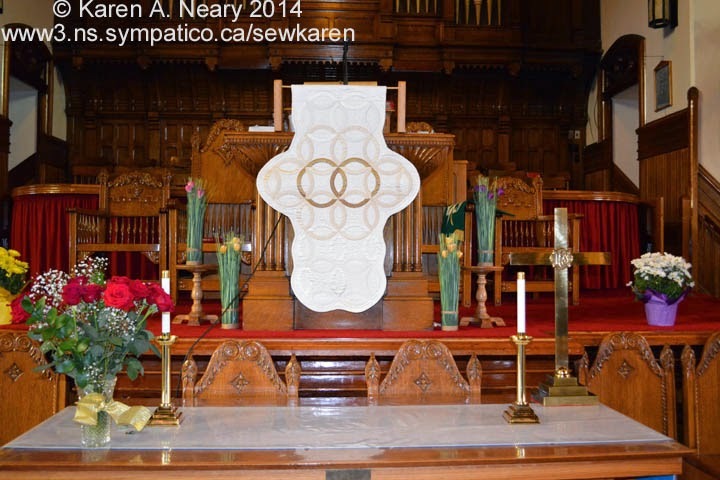 From the back of the church, only the golden rings at the centre are visible. As you walk down the aisle and get a bit closer, the colours of the outer rings begin to emerge. Three shades for three strands of rings which link to form a cross. The ministers were very pleased and frankly- if I may say so - it looked gorgeous in that setting. 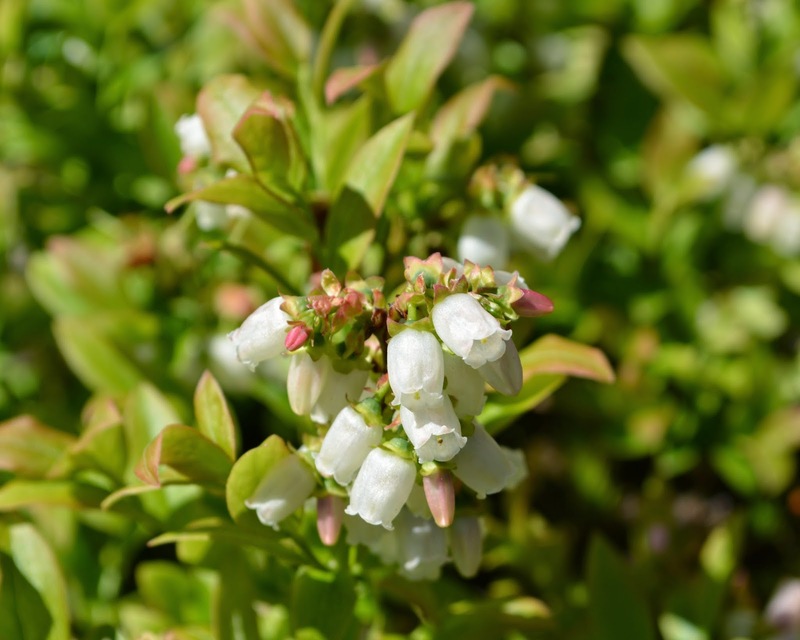 Here's where the bees are currently, up to their antennae in wild blueberry blossoms. I had hoped to leave the top section straight up to the hanging rod so that it would be well supported, but it makes the whole piece look top heavy. Like an engineer designing a building, my plan B now is to double up the beam across the centre to carry the weight (i.e. 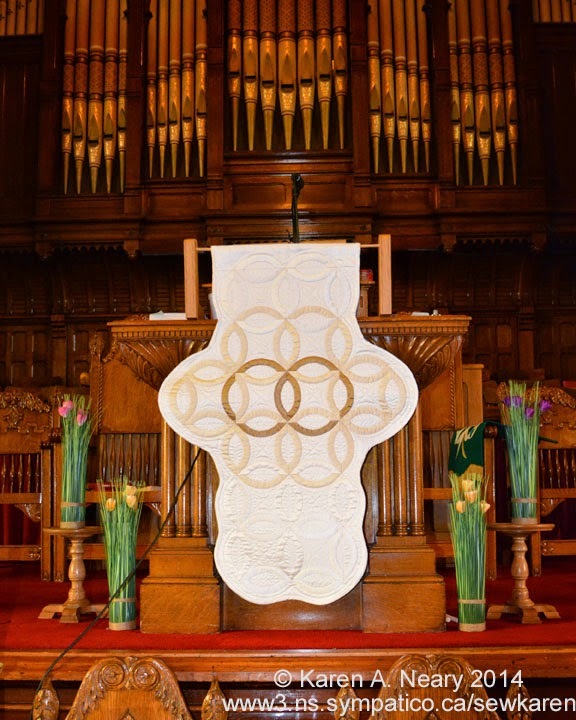 if needed, I will add a sleeve with a rod across the centre to make sure it does not curl on the pulpit.) I've marked where I need to trim to make it match the curves in the bottom part; now I just need the courage to pick up my scissors. I don't have a big bat, Dr. Suess...but I have sharp scissors. 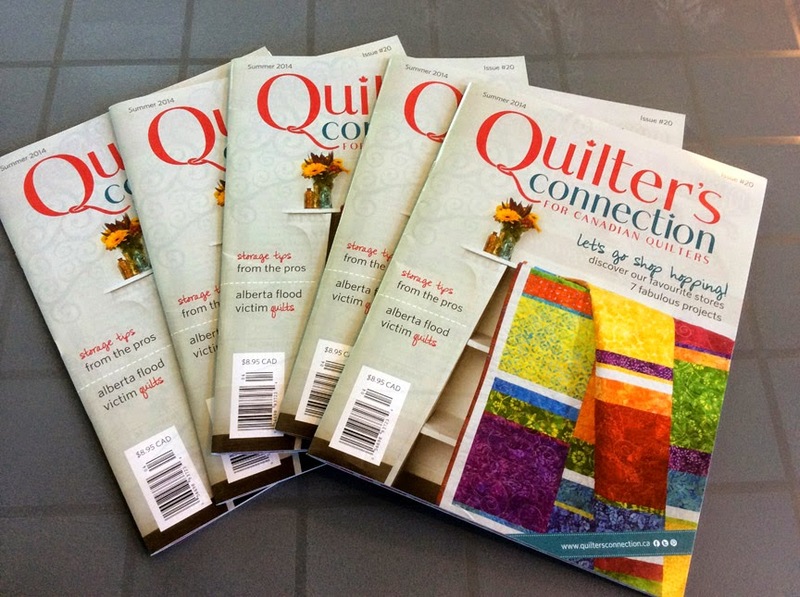 A heads up for local quilters: I am very pleased to say that Mrs. Pugsley's Emporium is now carrying Quilter's Connection Magazine! 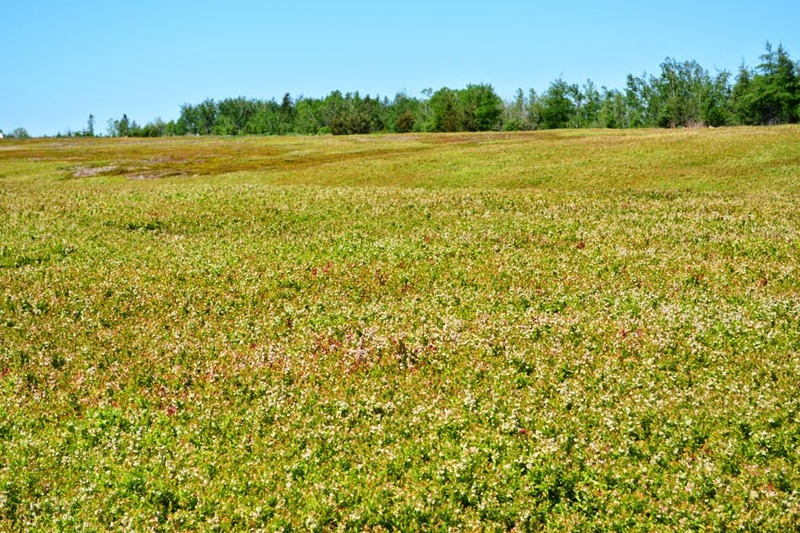 Previously, non-subscribers had to drive to Moncton to pick up the latest issue. 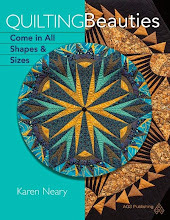 Kudos to Mrs. P. for listening to what quilters want and for bringing this fabulous publication to our doorsteps. I mentioned last week that Scrapmaster Linda visited Amherst. Bee-ing her thoughtful self, she brought along some sweet gifts. I love the colour of the napkins, and her FQ is a perfect match. Notice that it`s tied with a selvedge from a bee print. 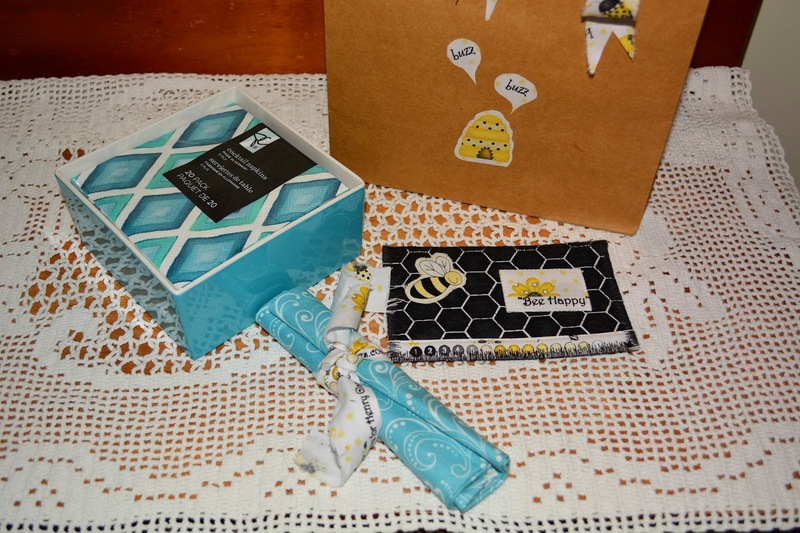 She even fancied up a gift bag with bee motifs. I will add this to my extensive (ha!) collection of ATC`s, which brings the total number to 3. The others are an Anne card made by Cynthia Mitro-Richardson as a thank-you from the London Friendship Quilter`s Guild, and an awesome NYB card made by Kate from Kanata. Thank you Linda for your thoughtfulness. The VW Bus fabric I got at Mrs. Pugsley's and showed on my last post is sewn up and ready to be delivered for Father's Day. My husband has had a life-long dream of owning a Westfalia, a tricked-out Volkswagen camper van. Never mind they stopped making them in '79, there are still lots on the road today. It's not likely that this dream of his will be realized any time soon; these days we seem to choose our vehicles based on how many beehives will fit in the back...but the fabric is perfect for a pillowcase, where he can motor around in his dreams. Originally I intended to trim it in bright red but decided that was more my taste than his. He's a plain, vanilla kind of guy so I went with a pristine white Cotton Couture by Michael Miller for the cuff. Our sky is grey...what's it like in Californa, Marilyn? I went to Mrs P's and bought fabric...I didn't need these fabrics but I sure did want them. VW buses, antique sewing machines, a newspaper print (in French no less) - it's so hard to resist. This one is called "And Sew On" by Henry Glass. Frankly, I don't need to make anything from it, just having it to admire is satisfying. All those beautiful vintage machines with their black Japan finish and scroll-work details on a red background is perfection. It goes nicely with my sewing machine collection...which includes this toy hand crank (a gift from my brother) as well as four Featherweights. Surely it makes more fiscal sense to buy machine fabric rather than another machine...? 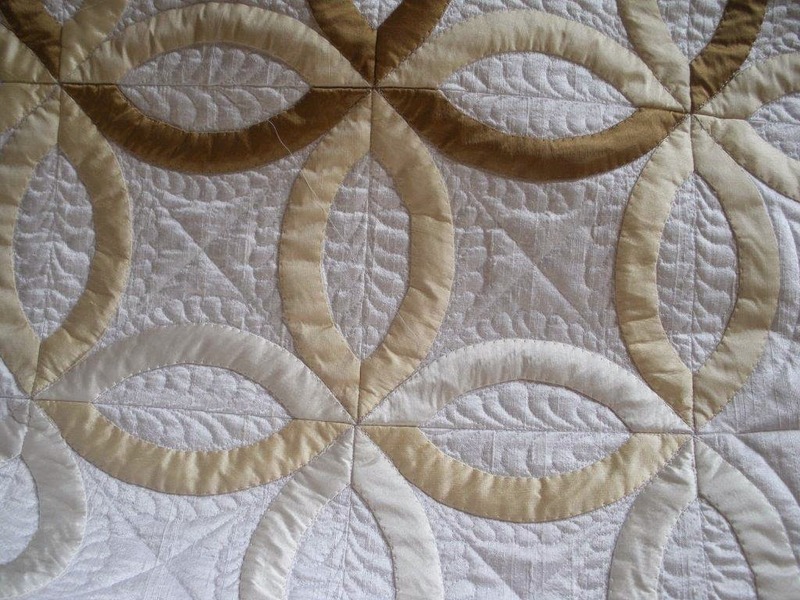 The quilting has gone ok on the silk antependium - not perfect, but I wasn't shooting for perfect. The scheme has been revised a bit and I've decided not to add multiple lines of cross hatching in the centre, but rather a single diagonal line. In reality, there's only 2" of space there so this allows a bit of dimension to the surface. 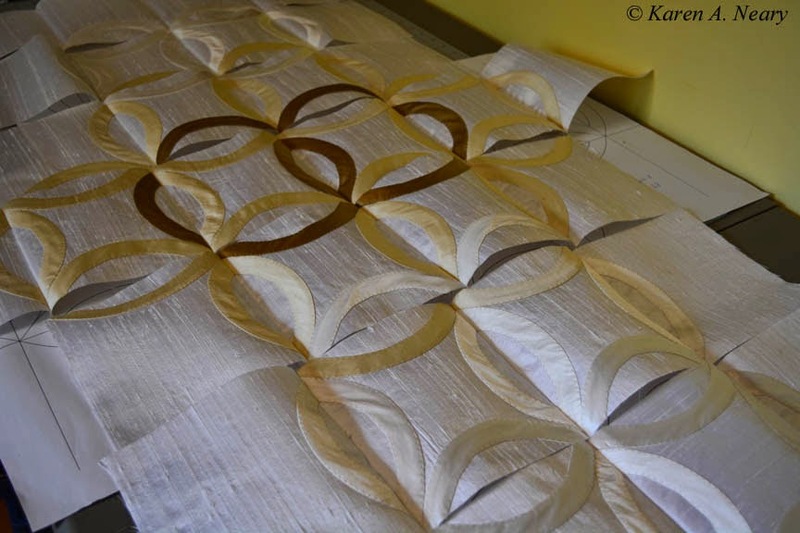 The wedding antependium has been pieced and ready for quilting for a few days but I have been pondering my options on how to proceed. 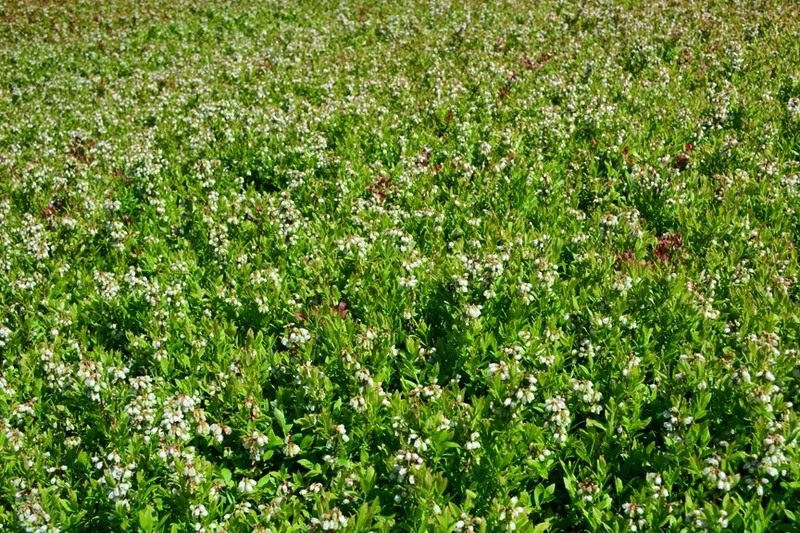 Silk is a different animal than cotton and needs special treatment. 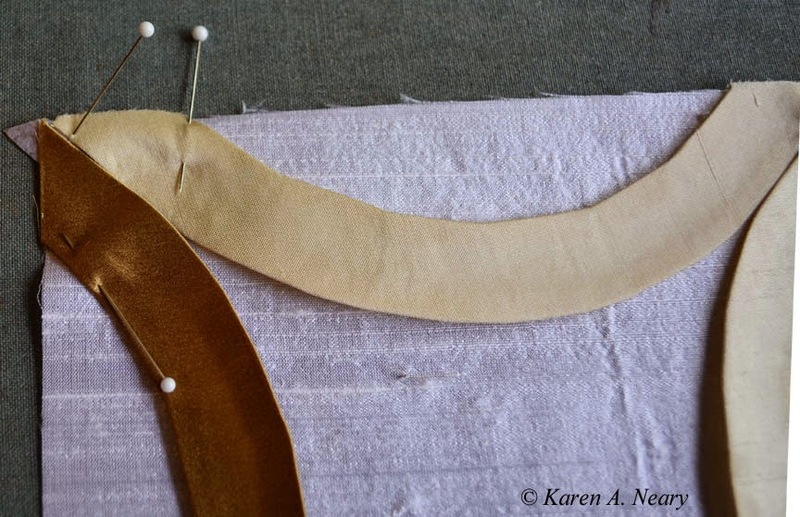 Using scraps of the white dupioni, I tested several different markers and left them overnight. The purple air soluble was as bright the next day as when it was applied which is very odd. It took a fair bit of soaking in warm water to remove the blue water soluble one, and even a bit of scrubbing for the Crayola washable marker to disappear. The FriXXion leaves a distinct white mark which in this case is not horrible as it is a white fabric but even so I hesitate to use it...just in case. 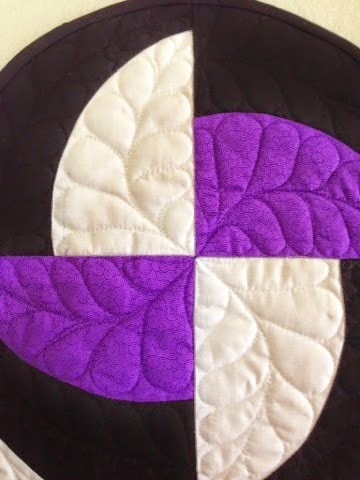 I've decided in my typical fools-rush-in fashion that I will free hand the quilting and not mark anything. I drew out my spaces full sized and doodled a simple design which I think I can do. I *think* if I eyeball the curve and make the feathers fit an imaginary boundary it will be ok. Humility quilting for sure...A piece of masking tape across the centre point will give a temporary line to follow for the first straight line which the edge of the presser foot can then echo for the cross-hatching. 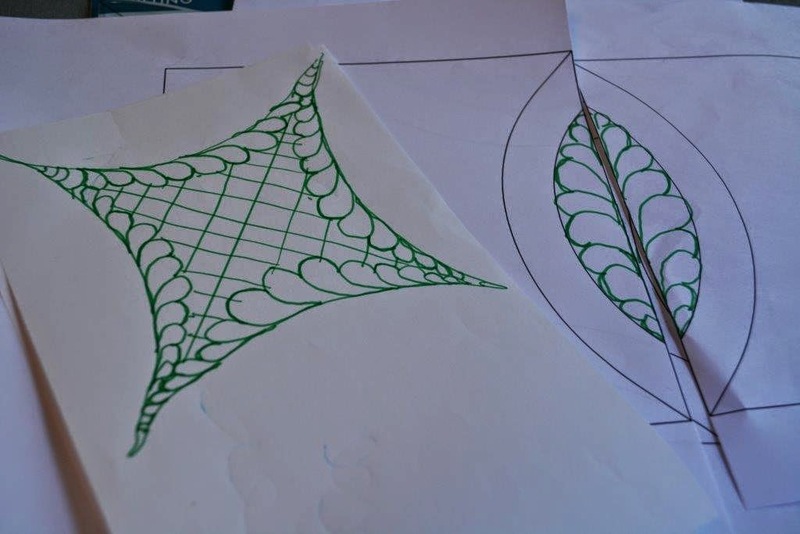 Last evening was spent practicing the design on the full sized pattern. Thankfully, I quilt better than I draw as my fingers no longer hold a pen well. Polly watched jealously all the attention that paper was commanding. Naturally, when I laid it on the floor to take a picture she saw her opportunity to claim it as hers. Making it up as you go along means you have to be open to "let's try this and see it if works." So far so good. Having never made a Double Wedding Ring (DWR) before I was unsure if it would be tricky to line up the rings for easy matching. I decided that logically the rings would meet at a 45° angle in the corner. It was a snap to put them together (sometimes that's not a good sign!) 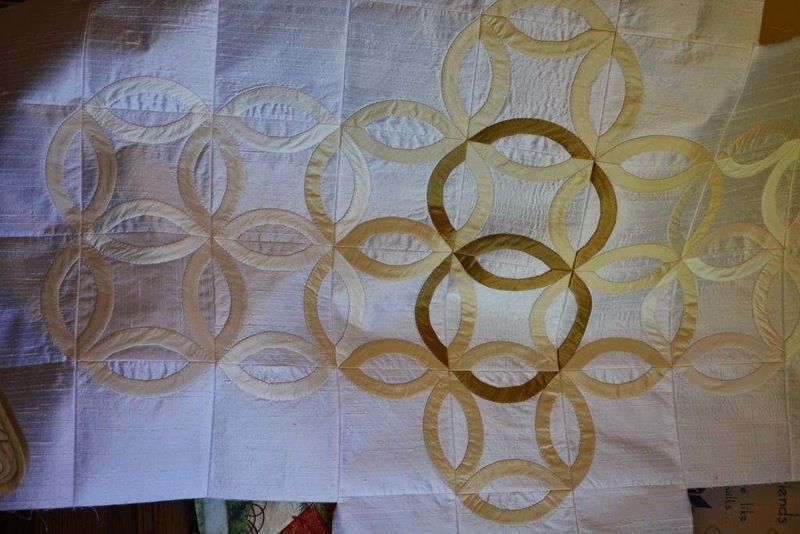 It took three full days to appliqué the rings onto the squares; working with silk is very slow...and slippery! 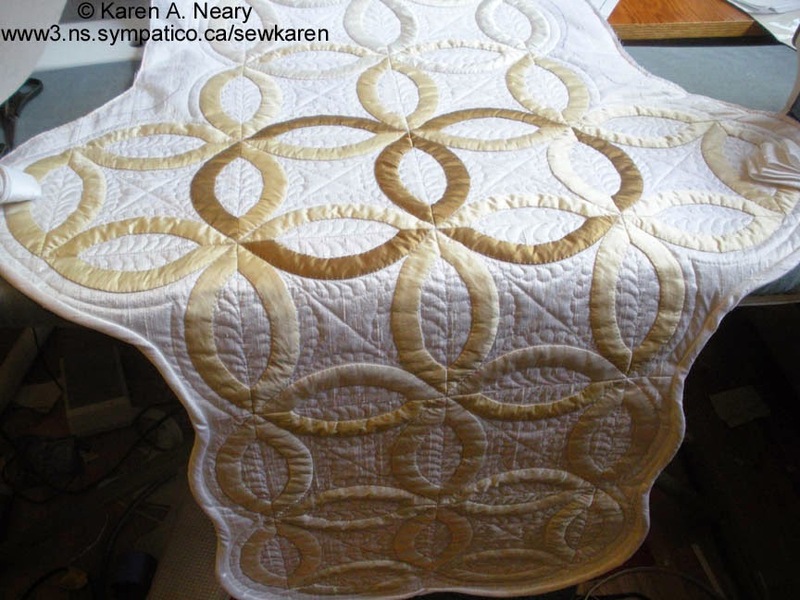 After the rings were appliquéd, I held my breath and began to join the blocks into rows. Thankfully, the rings matched up easily. These seams will all be pressed open with a damp press cloth and then the rows will be joined together. It's exciting when it starts to come together!